“Given another choice, I would have made the same decision. Even if you ask me 10 times over, my decision will still remain the same,” Derek Chang (@derekctor) once said during an interview in Taiwan. It was made in reference to his decision to donate 45 per cent of his liver to his father, who was diagnosed with liver cancer three years ago. 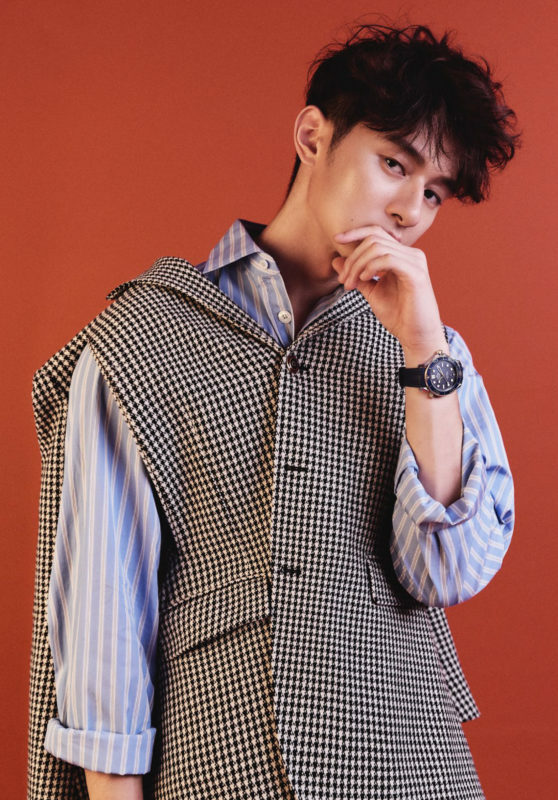 Starring on our Men’s Folio Malaysia September 2018 issue’s cover (decked in head-to-toe Gucci), the Taiwanese actor is quite the charmer even at first encounter. 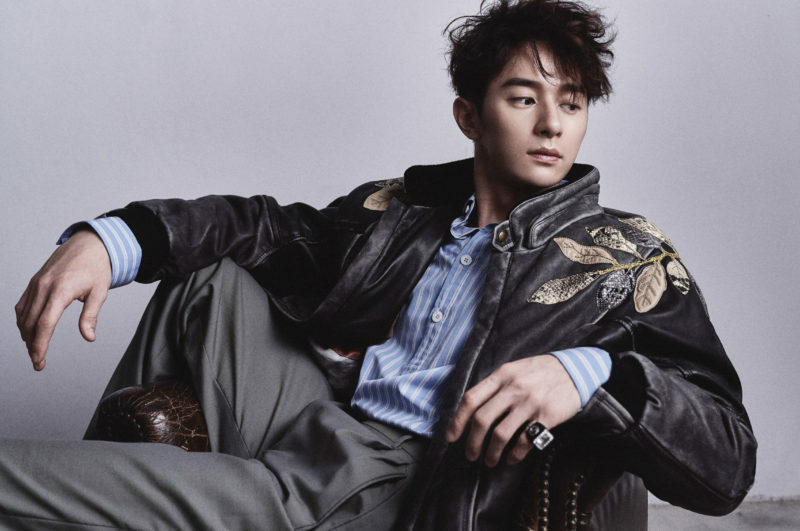 With a long list of successful dramas in his belt including Prince of Wolf, Stay With Me, The Man from the Future, and My Dear Boy, his rapid ascent seems less like luck and more of an inevitability. During our interview and photo shoot with Derek, we talk to him about his perspective on life, his coming big screen debut and more. After what happened to your father, how did that experience affect your perception of life? I did not expect anything from what I did other than for my dad to be healthy again. It taught me to be vocal about love and to treasure the present. Because of that, it has brought my family closer, and that is priceless. Actually, I think I am quite weird. In my personal life, I don’t have much self-confidence, but in front of the camera, I can do anything to its full extent. Of course, it’s within the parameters of the show’s plot and character – and that excites me and makes me happy. How did you keep yourself on top of the game? I keep myself on top of the game by taking good care of myself, as well as being serious in delivering works that I can honestly say I am proud of. I consider all the situations that the character might face, his thought processes when dealing with them, and try to understand them. There are a lot of people whom I admire, but if I have to choose one, it has got to be Benedict Cumberbatch. Not only is he a talented actor of substance, but he is also humorous and respectful of others. I like him even more after reading his autobiography. Every time he makes a public appearance with his wife, he would look after her, which is very thoughtful. What is your career plan for the future? I want to take on different roles and also learn different things from every show I’m in. I want to accumulate more experiences so as to bring better works to the audience and showcase the different sides of me to everybody. What’s next on the plate for the actor Derek Chang? I have been busy preparing for next year’s Chinese New Year movie, Da San Yuan (where he and Ella Chen play a pair of mahjong masters who fall in love with each other). It is my first big screen role, and I really hope that this is the beginning of me getting opportunities to act in more films. To read the full interview of Derek Chang, you can get your latest copy of Men’s Folio Malaysia September 2018 issue now at newsstands and bookstores nationwide or get your digital copy at www.magzter.com.